To celebrate the 80th anniversary of Edward Turner’s transformative ‘Speed Twin’, Triumph has re-introduced an updated version of its iconic motorcycle, but in a look back at the original, ground-breaking machine, David Curry takes a trip into the Mortons archive. Gleaming in the sunshine, the original Speed Twin still looks as glorious as it did upon its release. Turner’s parallel twin engine was not the first on the market, but the lightweight frame combined with significant improvements in power made it the first successful British twin-engine motorcycle. The 500cc engine continued to be used until the 1970s. The Speed Twin was introduced at the National Motorcycle Show and went on sale for £75. Originally, it came in one finish, Amaranth Red. 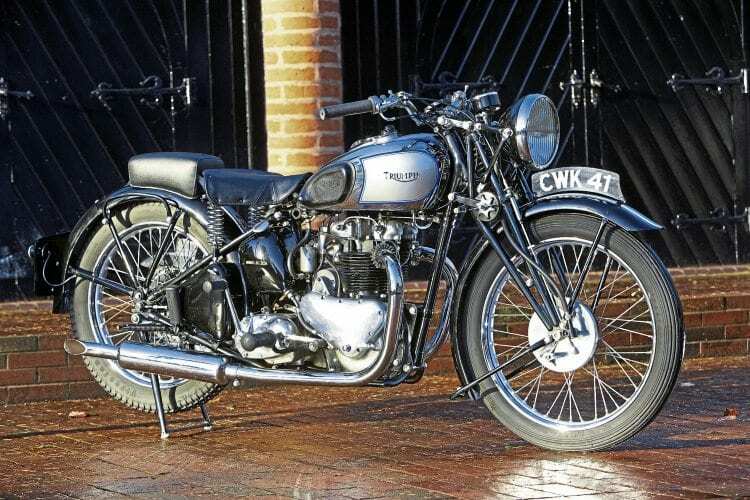 Having created Ariel Motors in 1932, Jack Sangster bought the ailing Triumph Cycles in 1936, moving Edward Turner across from Ariel to become general manager and chief designer of Triumph in 1937. Read more in the January 2019 issue of OBM – on sale now!